Ultimate Salon Professionals and the Patrick Dockry Health Beauty & Life Foundation team up with Alpha Project to help the homeless by donating over $225,000 worth of hair and skin care products. Our foundation wanted to see that local homeless charities saw the benefit of our company’s varied personal care products. Ultimate Salon Professionals (USP, Inc.), the parent company for ENJOY Professional Hair Care, hbl Hair Care, Skinjoy Skin Care, and Health Beauty Life Media and the Patrick Dockry Health Beauty & Life Foundation proudly donated over $225,000 worth of hair and skin care products to Alpha Project, a non-profit dedicated to helping the homeless. Products donated between December 2014 and May 2015 include full size bottles of shampoo and conditioner, as well as hand and body lotion, all essentials for daily hygiene and skin care. Alpha Project President and CEO Bob McElroy stated, "We would like to thank Ultimate Salon Professionals for their generosity in donating hair and skin care products to Alpha Project. The donation has allowed our outreach teams to offer much needed items to the hundreds of clients we provide our services to on the streets of San Diego each day." 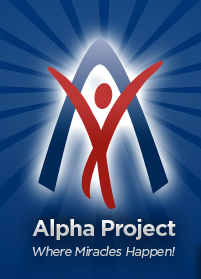 The mission of Alpha Project is to empower individuals, families, and communities by providing work, recovery and support services to people who are motivated to change their lives and achieve self-sufficiency. The agency’s many programs are available to all persons in need regardless of race, creed, color, ethnicity, national origin, religion, gender, or sexual orientation. Alpha Project strives not to manage homelessness, but rather to end it for its clients by offering jobs not handouts, respect not pity and empowerment not control. They provide the homeless with the tools they need to be the very best they can be. Each program offered by the Alpha Project focuses on assisting participants to attain their own optimal level of independence. For most program participants, successful completion of the programs will mean complete and permanent independence through education, employment, sobriety, and stability. For those clients with special needs, the Alpha Project programs maximize their own potential and supports as much independence as possible. All clients regardless of their history are encouraged, supported, and assisted in reaching their maximum potential with dignity and respect. Ultimate Salon Professionals (USP, Inc.) is the parent company of ENJOY Professional Hair Care, hbl Hair Care, Skinjoy Skin Care, and Health Beauty Life Media. Patrick Dockry Health Beauty & Life Foundation supports worthy causes by donating a portion of the proceeds from every sale of hbl Hair Care. For more information, please visit patrickdockryfoundation.org.